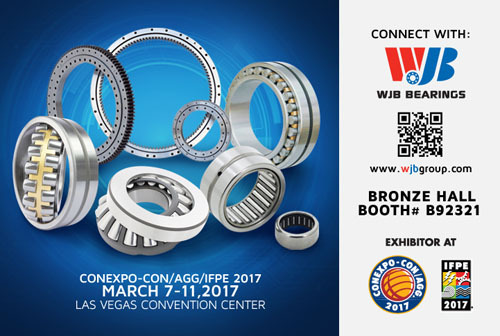 WJB Bearings Inc. will be exhibiting at the CONEXPO-CON/AGG-IFPE 2017. 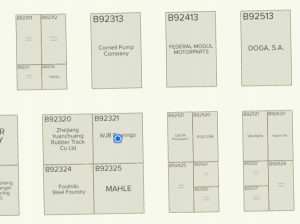 The expo will be held at the Las Vegas Convention Center from March 7th to 11th with our WJB team exhibiting at Booth# B92321 located in the Bronze Hall. You will have great opportunities to meet with over 125,000 industry leaders that include dealers, distributors, engineers and producers, and service providers. New educational tracks and tech experiences will also be available. Along with WJB Bearings, you can uncover how your business can become more efficient and profitable. WJB Bearings is a leading supplier of Bearings focused and excelled in the industrial industries including power transmission, agricultural, construction and mining industries since 1992.
as well as strong capability to work with your engineers and designers for custom solutions. Don’t miss the opportunity to meet with us and get to know more about our expertise in design and manufacturing and how WJB’s precisely engineered products and solutions will help your applications and business.